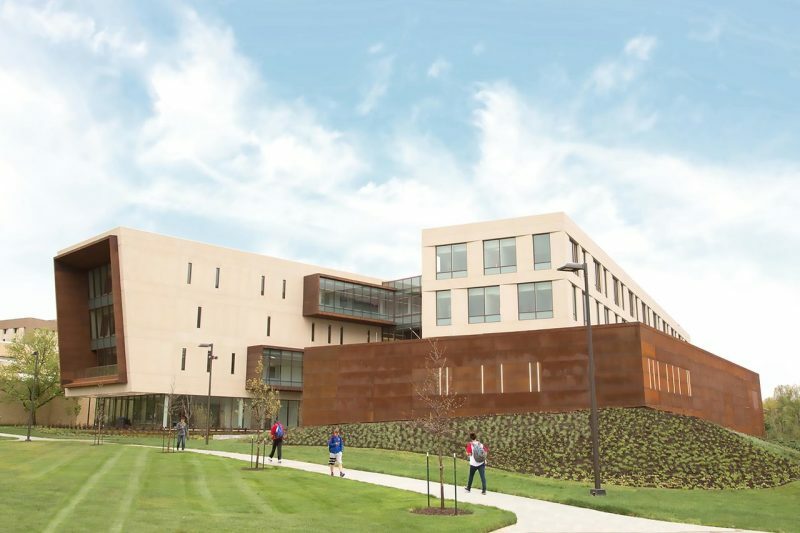 Capitol Federal Hall, a four-story, 166,500 square-foot building, is the largest facility at KU financed through private support. The $70.5 million facility has a north and south wing, joined by a central atrium. It houses 18 different spaces that can be utilized for meetings and events, including a 305-seat auditorium, and a dedicated meeting room (the Colloquium) with an amazing view of Allen Fieldhouse.